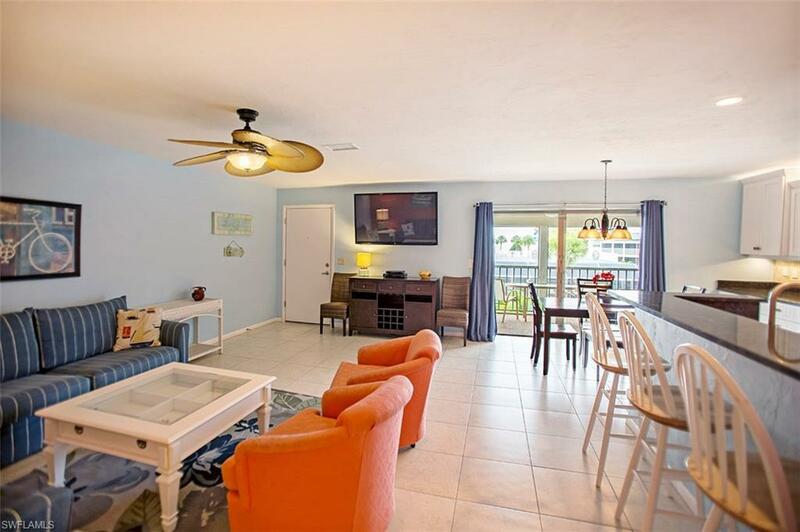 Charming remodeled two bedroom, two bathroom, second floor turn-key unit is the perfect place to relax & unwind on Sanibels world-renown beaches. 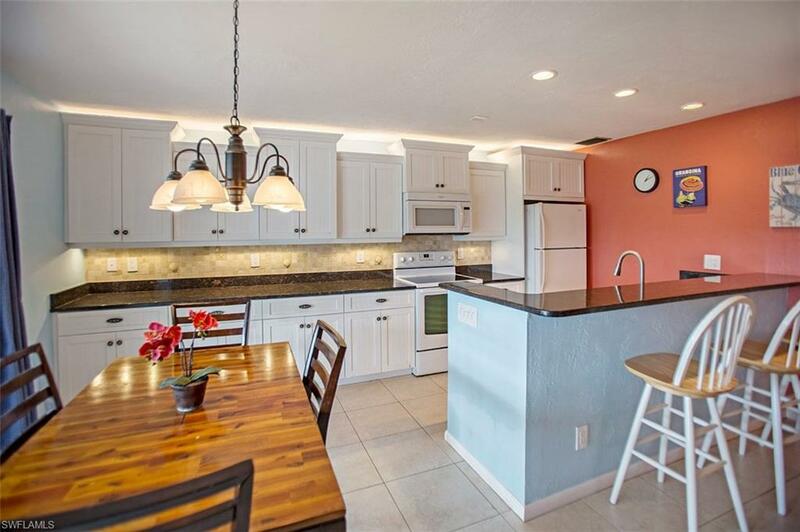 This tropical retreat features a dining/living combo that boasts views of the Gulf, unique designer cabinet hardware, ceramic tile throughout, tastefully decorated with soothing island colors, and a fully equipped kitchen & breakfast bar with granite countertops. Master bedroom features a private screened in lanai perfect for morning coffee. 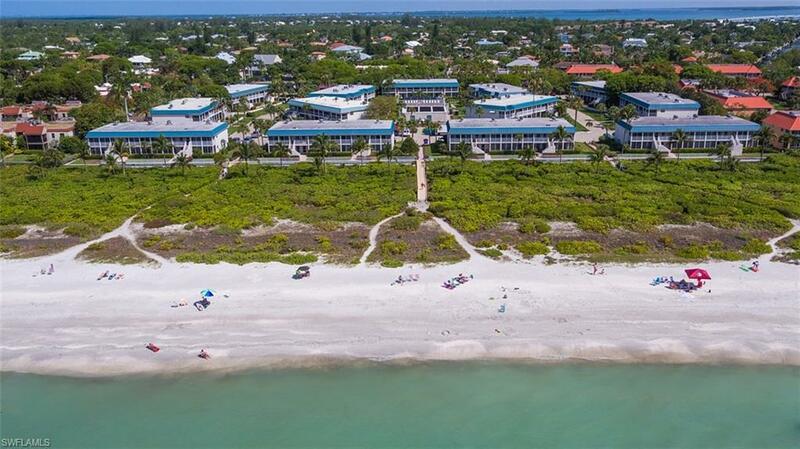 Conveniently located on the East End of the island near the Sanibel Causeway allowing for easy on and off-island access, close to restaurants, island shops, and the Sanibel Lighthouse & fishing pier. 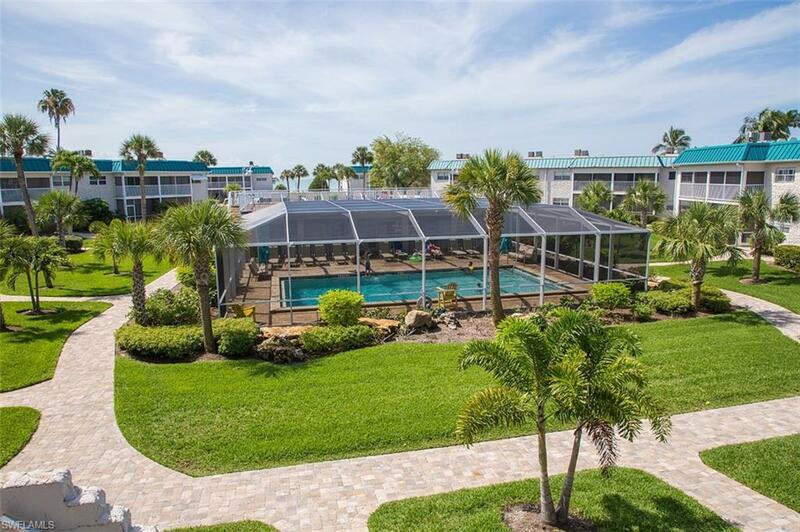 Owners enjoy the only screened heated pool on Sanibel, private boat mooring, brand new pickleball and tennis courts, fitness center, shuffleboard, deeded beach access, picnic areas, outdoor grills, clubhouse, landscaped gardens, and on-site rental office. Fantastic income producer with strong rental history.